Income tax planning should go hand-in-hand with efforts to preserve and compound your estate. John O. McManus today discussed with clients key opportunities to maximize income tax savings. Review Your Plan: Given the significant tax law changes on the State and Federal level over the past several years, it is important to review existing Wills and Trusts to ensure that income tax efficiency is maximized. Evaluate cost basis of assets gifted to irrevocable trusts, which will not receive a step-up in basis. Determine whether irrevocable trusts have swapping or decanting powers. Re-visit the use and implementation of Testamentary Credit Shelter Trusts (see below). Basis and Testamentary Credit Shelter Trusts: It is important to preserve the flexibility to benefit from a step-up in basis upon the surviving spouse’s death. Credit Shelter Trusts, which utilize State and Federal estate tax exemptions, typically do not allow for assets to receive a step-up in basis upon the surviving spouse’s death. Since the estate tax exemptions have dramatically increased in the past decade, fewer families are impacted by estate tax. o the children would not have been subject to estate tax even without a Credit Shelter Trust. o the children will have to pay capital gains on the assets of the Credit Shelter Trust when they sell them. If it becomes evident that estate tax is not a concern, a power can be included in the Credit Shelter Trust to cause the assets to be included in the surviving spouse’s estate upon his or her death to achieve the step-up in basis. Paying Retirement Accounts Forward: If you inherit a qualified retirement account, you should consider disclaiming it to the next generation in order to extend the tax-deferred appreciation of the investments. If you do not require the use of the retirement account investments inherited from a parent, a disclaimer within 9 months of the date of death can provide a significant tax benefit. The required minimum distributions of the IRA will be based on your children’s ages, meaning the required minimum distributions will be significantly less and allowing for more assets to remain in the account to appreciate in value income tax-free. Using Assets as Leverage for Gifting: Using appreciated assets as leverage can provide for a wealth transfer opportunities to minimize estate tax without sacrificing a step-up in basis upon death. It is common to gift significant assets as part of a wealth transfer plan to minimize future estate tax. However, in doing so, the assets do not receive a step-up in basis upon the donor’s death. If the family sells the assets soon after, the estate tax benefits are muted because the capital gains tax must be paid. As an alternative, explore financing for the asset and gifting the cash to a protected, multi-generational irrevocable Trust. The cash will then be invested, with any growth taking place outside of the estate and realizing the desired estate tax benefit. The asset will remain in the estate to gain the step-up in basis and only the value of the equity in the property would be subject to estate tax. NINGs and DINGs: There may be significant tax-savings opportunities to eliminate the imposition of State income tax on capital gains by establishing a Trust in Delaware or Nevada. If you anticipate having the opportunity to sell a closely-held business or appreciated stock holding, you will have a significant State income tax (and on your Federal return, you will no longer be able to deduct that tax paid). By forming a specially-designed Trust in Delaware or Nevada and hiring a trust company located there to administer it, you can then fund the Trust with the asset that will be liquidated. Since the asset is intangible and is considered to be custodied outside the state of your residence, the State cannot impose income tax on the gain. The Trust can also be structured so that it will not be subject to State or Federal Estate tax after your death. Upstream Gifting: The sale of an appreciated asset to a specially-designed Trust for the benefit of a parent can provide post-liquidation tax benefits. If there is high capital gains tax exposure for an investment that will be sold at some point during your lifetime, you might consider selling the investment to a Trust for the benefit of a parent. By selling the investment, you do not use any of your estate tax exemption and you would hold a promissory note, the payment of which could be made by income generated by the investment. The parent would be granted a power that would cause the Trust to be taxed as part of his or her estate. Therefore, upon the parent’s death the investment would receive a step-up in basis, and it can subsequently be sold with minimum capital gains tax. 199A Qualified Small Business Deduction: The creation of non-grantor trusts for the benefit of separate beneficiaries can be used to expand the amount of Qualified Business Income that is deductible when income limits are exceeded. Following the enactment of the tax law in 2018, taxpayers are entitled to a 20% deduction on qualified business income (QBI) from partnerships, LLCs, and S-Corporations. If a single person’s taxable income exceeds $157,500 or a married couple’s taxable income exceeds $315,000, the deduction for QBI is then limited to 50% of the W-2 wages paid by the business or 25% of W-2 wages plus 2.5% basis of depreciable property. A possible strategy is to establish non-grantor trusts (i.e. trusts specially designed so the creator is not considered to be the income tax owner) and transferring interest in the entity to the trusts. Since each Trust is a separate taxpayer, all QBI in connection with the trusts’ share of the income would benefit from the full deduction presuming that each Trust’s taxable income does not exceed the $157,500 threshold. Qualified Small Business Stock: The creation of non-grantor trusts can be used to increase the exclusion on capital gains when Qualified Small Business Stock (QSBS) is sold. QSBS is a shares in C-Corporation holding less than $50MM in assets and which have been held more than 5 years. The tax code currently provides an exclusion on capital gains of $10MM or 10 times the cost basis, whichever is greater, when QSBS is sold. For the sale of QSBS in which capital gains exceeds the thresholds, the transfer of the shares to non-grantor trusts will provide a separate capital gains exclusion for each trust (once again, because each trust is considered to be a separate taxpayer). Property Tax Deduction: The creation of non-grantor trusts can increase the Federal income tax deduction for property taxes paid. The Federal income tax deduction for state and local taxes paid (including property tax) is currently capped at $10,000. As a possible solution, a residence can be transferred to a LLC and then the membership interest in the LLC can be gifted to a separate Trust for the benefit of each child. Each Trust would have the ability to deduct up to $10,000 in property taxes for Federal income tax purposes. o This means that if you establish one Trust for each child and retain an equal percentage ownership in the LLC, you would keep your personal $10,000 property tax deduction and get an additional $10,000 property tax deduction for each Trust created. o This concept could be extended to other beneficiaries, including grandchildren and other family members to further increase the amount of property taxes which would be deductible. An important consideration is that each Trust should hold investment assets which generate sufficient income for which the property taxes could be used to offset the gain, interest, dividends, etc. Income Tax Opportunities in Real Estate: Cost segregation and Opportunity-Zone Funds are tools that are becoming more prominent and all real estate investors should develop a familiarity with them. Cost segregation allows accelerated depreciation for certain components of a property, meaning that taxable income can be offset to a much greater degree. While the regulations for Opportunity Zone Funds are not completely finalized, these may be a viable investment vehicles to defer capital gains of all types. o In order to qualify for the deferral of income tax, the amount of capital gains must be invested in a Fund within 180 days of a sale. o Remaining invested in the Fund for 5-7 years can eliminate up 15% of the original capital gain. In order to be eligible for the 5 or 7 year basis readjustments, investments in a Fund must be made by the end of 2021 or the end of 2019, respectively. o Remaining invested for 10 years eliminates capital gains on all of the appreciation after the investment in the Fund. o The original capital gains that was deferred must ultimately be realized by December 31, 2026 and the tax will then be due. When the calendar turns to January, the clock is reset for many estate planning opportunities. McManus & Associates Founding Principal and AV-rated Attorney John O. McManus recently shared his recommended estate planning checklist for January to maximize the value of your assets, cover your financial bases, take advantage of current exemption levels, and get a head start on deadlines. 1. Fund your children’s trusts so that the trusts can benefit from a full year of appreciation. 2. Make charitable gifts to your foundation so that it will also benefit from appreciation during the year. 3. Review the grants made by your foundation to confirm that they are qualified 501(c)(3) organizations; start researching new charities to expand your class of grantees (while still maintaining your donative intent). 4. Consider making gifts to 529 plans for your children and or between your grandchildren to take advantage of a full year of appreciation. 5. Meet with McManus & Associates or your accountant as soon as possible to provide critical financial information to begin your tax returns. 6. Make substantial gifts a part of your estate plan, thereby empowering your spouse before Congress reduces the gift tax exemption from $11 million. 7. Consider hiring your children and spouse or other family members for the family business and pay an amount that will fund a Roth IRA. 8. Perform an audit of your life insurance policies, including their cash values and performance, as well as their suitability and sufficiency of coverage. 9. Review your beneficiary designations (which will override any testamentary direction under your will) to make sure they coincide with your intentions (as provided in your will). 10. Review your medical coverage and plan choices; also, review your tax withholdings if you expect your income to change significantly. 11. Schedule a meeting with McManus & Associates to review your fiduciaries and agents named in your estate plan to determine their suitability and continued qualifications. McManus & Associates Founder John O. McManus was recently interviewed by Karen Ellenbecker, Founder and Senior Wealth Advisor of Ellenbecker Investment Group, for Money Sense radio show on WISN AM 1130. The very important topic? Planning for seniors. The show aired two weekends in a row. You can listen here or find it on the Money Sense iHeartRADIO page (published January 6, 2019). For more information on the topic, check out the conference call that John held for clients, “Top 10 Dangers and Opportunities for Seniors.” For help with planning to protect yourself, your parents or your grandparents, call McManus & Associates at 908-898-0100. When Terrence Hahn left Honeywell as head of its home and building technologies division this year, he had amassed a lot of company stock over 11 years and was facing a huge capital gains tax bill if he sold. Looking to diversify his portfolio and to formalize his family’s charitable giving, he found a handy solution: A charitable remainder unitrust. “In today’s jittery markets, clients are more than ever focused on monetizing these concentrated stock positions,” says his tax and estate lawyer, John McManus, of McManus & Associates in New Providence, N.J. The pitch: If you put appreciated assets into a charitable remainder unitrust (CRUT), you postpone or avoid capital gains tax. The trust pays you a fixed percentage of the principal as revalued each year—for a set number of years or life—and what’s left in the trust at the end goes to charity. In Hahn’s case, the ultimate beneficiary is a family foundation. The CRUT/family foundation is a great combination if you want flexibility and control over how you shape your ultimate charitable legacy, McManus says. CRUTs have been around for decades. But there’s more than just the old reasons for setting up a CRUT today. The new Trump tax overhaul made changes that favor their formation. First, by increasing the standard deduction and capping the state and local tax deduction, the new tax law dramatically cuts the number of taxpayers who will benefit from itemizing deductions, including deductions for charitable donations. In addition, the new law eliminates the Pease provision that limited deductions for high income taxpayers. Today, by making a big one-time gift upfront to a charitable trust, donors will be able to snag the charitable deduction. And if you donate appreciated assets, there’s the capital gains tax play too. Remember, the top capital gains tax rate is still 23.8%. Read the full Forbes article, which includes additional insight from John, by clicking here. To set up a time to discuss giving strategies that should be considered in light of your unique interests and financial situation, call McManus & Associates at 908-898-0100. We would love to help you support causes about which you’re passionate—and in a tax-effective way. John O. McManus, founder of trusts and estates firm McManus & Associates, was honored statewide with the New Jersey YMCA State Alliance 2018 Social Responsibility Champion Award on Nov. 30 for his devotion and passionate advocacy to the Y and the community for over 10 years. In 2005, McManus joined Somerset County YMCA’s Board of Directors and currently is the Vice Chair of the Board of Directors and Chair of the Board Governance Committee, as well as serving on the Financial Development Committee and Capital Campaign Leadership Cabinet. Recently, McManus was elected by his peers to be the next Board Chair beginning in January 2019. Trusts & Estates Magazine/WealthManagement.com published a slideshow authored by John O. McManus featuring 10 to-dos you should check off your list before the ball drops on New Year’s Eve. Check out the tips below — or view the full slideshow with photos. Discuss this checklist with your clients. With less than a month left in 2018, time’s running out for your clients to finish their wealth management and tax planning to-dos. Many tax opportunities have an annual expiration date of Dec. 31, and this year presents unique possibilities. Here are 10 items your clients can check off their lists before the ball drops on New Year’s Eve. Freely give to help others live. Clients should make annual exclusion gifts of up to $15,000 for individuals and $30,000 for married couples, per chosen loved one (per married couple). Make gifts into trusts for children and grandchildren. Contribute to an Internal Revenue Code Section 529 plan, which grows free of income tax. Make unlimited gifts directly to educational institutions and medical facilities. Reap what you’ve sowed (and take your losses). Clients should consider harvesting losses to offset capital gains realized in their securities portfolios. Advise clients to take advantage of this year’s lower threshold for Medical Expenses. For tax year 2018, the 2017 Tax Cut and Jobs Act reduced the floor (from 10 percent to 7.5 percent of adjusted gross income) that must be exceeded to take a deduction for Medical Expenses on one’s tax return. This is the last year to take advantage of this lower floor; so, if possible, your client should try to accelerate any medical transactions and purchases into the 2018 year. Use a tax rate in its infancy. Review your client’s children’s portfolio income for application of the new Kiddie Tax. Prior to 2017, the children’s interest and dividends (unearned income) above $2,100 were taxed at your client’s top marginal tax rate. As a result of the Tax Act, this income will be taxed at the rates that are applicable to trusts. Trust rates are also at the top bracket, but the top rate starts sooner in the earnings curve. When will your client’s child have to file a separate tax return? iii. If the child has both earned and unearned income, the child must file if the total exceeds the larger of: (i) $1,050 or (ii) the earned income plus $350. Your client should think about giving. Bunch your client’s charitable deductions into the same year. The deduction for cash donations to public charities has increased to 60 percent of the taxpayer’s adjusted gross income. Charitable donations should be combined every other year to exceed the new higher standard deduction ($24,000 married; $12,000 single). Otherwise, your client’s charitable gifts won’t enjoy a benefit. If over aged 70½, your client should make a qualified charitable donation of his required minimum distribution from his individual retirement account; the income will be excluded from the return and taxable income. 1. Consider gifting low-basis stock (instead of selling the stock to raise cash for gifting that could lead to gains). 2. Determine liquidity needs in the foundation to meet the requirement to pay 5 percent of the value of a foundation’s net investment assets. 3. Fund a charitable remainder trust with concentrated positions in appreciated securities to diversify without adverse tax consequences associated with selling appreciated securities. Rocket fuel for your client’s investment vehicles. Establish and fund qualified plan contributions. Maximize your client’s Section 401k contribution, which would be $18,500 generally and $24,500 for clients over aged 50. Consider making a gift of up to $5,500 to either a traditional or Roth individual retirement account for his children or grandchildren who aren’t funding their own IRAs but have enough earned income to report. Take a break to consider break-ups. While we always support and encourage harmony and reconciliation, if there must be a decision to legally separate or complete a divorce, your client may want to do so before year end. Otherwise, moving forward, the payer of alimony will no longer get a deduction on their tax return, and the recipient will no longer have to include the alimony as taxable income. An owner of an S corporation must pay himself a reasonable compensation (what someone in a similar job would be paid). Therefore, make sure your client pays himself a salary before year end. Be bold and review client’s withholding. The Tax Act lowered the tax rates and changed the tax bracket income ranges. Therefore, now’s the time for your client to do a “check-up” to see if the current tax withholding will be sufficient for next year’s income. Get in the groove to make a move. Your client should make distributions of income from trust accounts and estate accounts to lower his income tax liability. Estates and trusts are taxed at the highest income tax rate (and a lower threshold at which the 3.8 percent Medicare surtax applies). Therefore, it may make sense for your client to distribute income to the beneficiaries to be taxed at the beneficiary’s lower income tax rate. New U.S. tax laws should inspire some Americans to pursue year-end tax strategies that will seek to maximize their wealth, according to John McManus, founding principal of McManus & Associates. He said these strategies make sense given the new tax framework, as well as estate planning recommendations. Click through the different strategies and listen to Mr. McManus discuss these strategies here. Given that the increased estate tax exemption is temporary, high-net-worth clients worried about future estate taxes should make $15,000 (or $30,000 for a married couple) annual exclusion gifts to children and grandchildren into flexible irrevocable trusts before Dec. 31. Right after Jan. 1, give the gift again. If a client sold appreciated investments or a business in 2018, that will spark capital gains taxes, so offset those by donating to a family-controlled charitable vehicle like a private foundation or charitable remainder trust before Dec. 31. Given the new limitation on the state and local tax (SALT) deduction for federal income taxes, clients should think before they sell appreciated investments or a business in the next few years because those sales will lead to unusually high capital gains taxes. But if they establish a non-grantor trust in Delaware or Nevada to store assets prior to a liquidity event, they can avoid state capital gains tax. With the SALT deduction now constrained, think more about income tax exposure on investments. Consider whole life insurance, which continues to appreciate in value without resulting in income taxes due, and represents an efficient component of a diversified portfolio. High-net-worth families who will still have state and federal estate tax exposure should be thinking about how to utilize insurance. Permanent insurance coverage owned by an irrevocable life insurance trust should be a component of smart estate plans. Here’s a three-generation plan: A grandparent could loan significant funds to their child to acquire a life insurance policy for their grandchild. That loan can be structured to be dramatically discounted upon the grandparent’s death, thus cutting state and federal estate taxes. This arrangement allows the insurance policy to be free of taxes all the way down to the grandchild. See the InvestmentNews slideshow with photos here. John O. McManus, founder of trusts and estates firm McManus & Associates, was honored statewide with the New Jersey YMCA State Alliance 2018 Social Responsibility Champion Award for his devotion and passionate advocacy to the Y and the community for over 10 years. In 2005, John joined Somerset County YMCA’s (SCYMCA) Board of Directors and currently is the Vice Chair of the Board of Directors and Chair of the Board Governance Committee, as well as serving on the Financial Development Committee and Capital Campaign Leadership Cabinet. Recently, John was elected by his peers to be the next Board Chair beginning in January 2019. 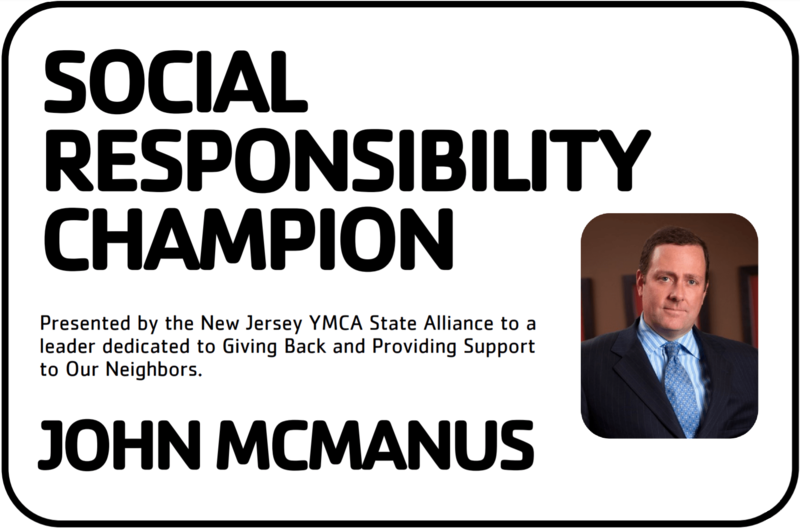 See the YMCA’s release on McManus being named the New Jersey YMCA State Alliance 2018 Social Responsibility Champion Award by clicking here. While John has effectively raised funds throughout his service to the Y, his increased enthusiasm over the past six years has been remarkable. From 2013 through 2018, John personally raised $279,440 for SCYMCA, which helped to surpass the campaign goal each year. In 2012, overall gifts to the Annual Campaign equaled $185,668, and in 2018 SCYMCA raised a total of $1,003,526 – a 540% increase. Through his tenure as a volunteer, John has grown as a respected, cause-driven leader. His dedication to the Y has resulted in vital funds that help the Y to provide financial assistance and mission-based programs, which enhance quality of life and make a meaningful difference. John strengthens community by bringing the Y’s mission to life and ensuring that everyone in the community has the opportunity to learn, grow and thrive. John consistently demonstrates a passion for giving back to advance the Y’s mission and to address challenging community needs. Click here to read Irwin’s full speech on McManus’ unique and outstanding contributions to the Y. For my wife and me, fundraising has become second nature. It starts with a story that we believe in that must be communicated well to a group that is passionate about helping others and delivered to a consistently-engaged, ever expanding-group of patrons. Click here to read McManus’ full speech, including the five lessons he learned while growing up in the Bronx that fashioned, as described by Irwin and others, his “gift” as a fundraiser. For help achieving outstanding philanthropic results consistent with your values, call McManus & Associates at 908-898-0100. With only one month left in 2018, time is running out to finish your wealth management to-dos. We’ve made your list, but it’s time to check it twice. 1. FREELY GIVE: Make annual exclusion gifts up to $15,000 for individuals and $30,000 for married couples, per chosen loved one. 2. REAP (LOSSES TO OFFSET) WHAT YOU’VE SOWED: Harvest losses to offset capital gains in your securities portfolio. 3. MIND YOUR HEALTH: Take advantage of this year’s lower threshold for Medical Expenses. 4. USE A TAX RATE IN ITS INFANCY: Review your children’s portfolio income for application of the revised Kiddie Tax. 5. GIVE THOUGHT TO GIVING: Bunch your charitable deductions in the same year. The deduction for cash donations to public charities has increased to 60% of the taxpayer’s adjusted gross income. 6. FUEL INVESTMENT VEHICLES: Establish and fund qualified plan contributions. 7. TAKE A BREAK TO RECONSIDER BREAK-UPS: If planning to execute a divorce or separation agreement, you may want to do so before year-end. Otherwise, moving forward, the payer of alimony will no longer get a deduction on his or her tax return, and the recipient will no longer have to include the alimony as taxable income. An owner of an S Corp must pay themselves a reasonable compensation (what someone in a similar job would be paid). Therefore, make sure you pay yourself a salary before year- end. The 2017 Tax Act lowered the tax rates and changed the tax bracket income ranges. Therefore, now is the time to do a “check-up” to see if your current tax withholding will be sufficient for next year’s income. 10. MAKE A MOVE: Make distributions of income from trust accounts and estate accounts to lower their income tax liability. Under other circumstances, we would split everything equally among our children, but for our addicted son, this would be like throwing gasoline on a fire. We are thinking of putting his share into a trust to be used exclusively for his future health needs, rehab and, hopefully, sobriety. But again, we love our son, and it is heartbreaking to realize we are essentially leaving him nothing tangible. What is the ethical thing for us to do? As a principal of an estate and trusts law firm in this New York metropolitan area, it is not uncommon to see these family struggles – you are directionally prudent in your decision. 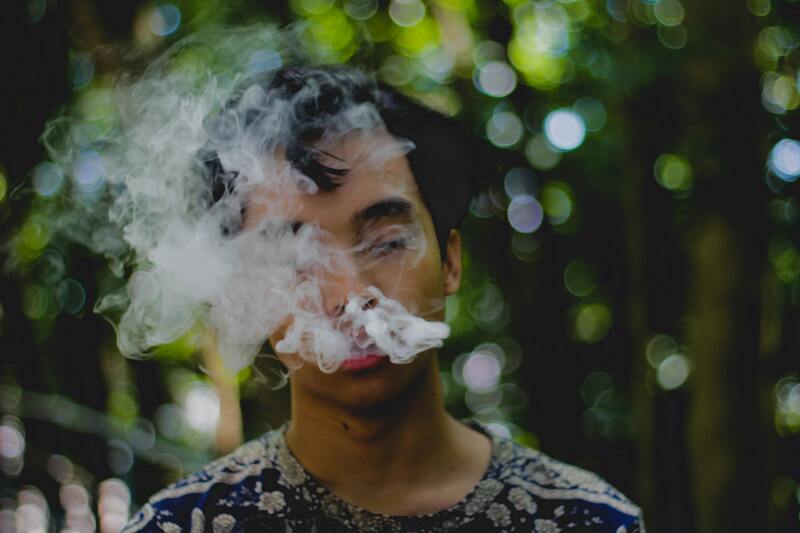 That said, the anguish often comes with discerning whether “it is fair, and could it be more destructive” if my addicted child sees that we are treating him differently from his currently higher functioning siblings. One consolation is that all your children may elegantly receive their family gift into trust. For your other children, the trust serves to protect their assets from others, but each can serve as their own trustee and enjoy the protection of “driving their own armored truck,” making investments and distributions to themselves as necessary. For your currently addicted son, he will have another “driver” (other than himself) to serve as trustee until he reaches emancipation from his addiction one day. It may also be prudent that the trustee not be one your other children, but someone who both knows your son and your wishes for his very best welfare. In the meantime, your other children’s strain will not be compounded by taking his calls as he seeks to achieve access to the trust assets during his period of vulnerability. In the end, your other children will love and protect him by quietly possessing the power to appoint and remove any independent trustee and can regularly remain in consultation to ratify the trustee’s decisions. For help with setting up a trust to protect your children from asset attacks by others (as well as to protect them from themselves, when necessary), call McManus & Associates at 908-898-0100.